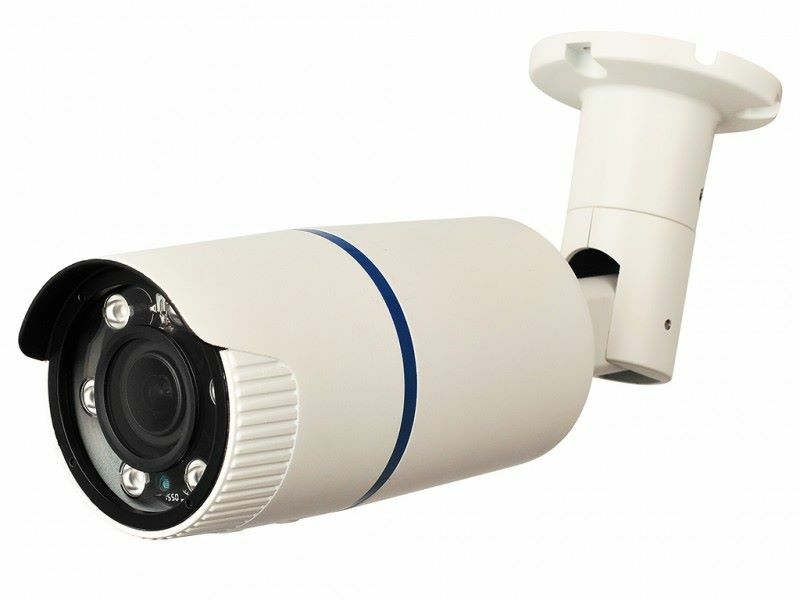 Sleek style and versatility make the IRB2M06HVF-MHD outdoor bullet camera an excellent choice. Comes with a varifocal 2.8-12mm lens, 6 long range LEDs for up to 196 ft. IR illumination and multi-format video output. This camera can be used with AHD, TVI, CVI or standard video recorders so no need to worry if it will be compatible with your DVR. The camera has a day/night function which provides full color images in daytime or adequate lighting then switches to B/W at night activating the IR LEDs to maintain image quality. An OSD (on screen display) menu allows for easy adjustment of camera and image settings to accommodate most any situation. Comes with a 3-axis concealed cable management bracket and IP66 weatherproof rated housing making this camera great for both indoor and outdoor installs.